How would you feel about being charged an interest rate of 800%? How about finding out that an institution that refused you a loan then sold your financial information to another company? Or being bombarded with new offers to take out unaffordable loans even after you have defaulted on a previous loan? Last year a government inquiry into the ‘payday loan’ and ‘rent-to-buy’ industry reported on these practices in its final report and made a raft of recommendations to Government about changes that could be made to better protect vulnerable consumers. Finally the Government has agreed, and moved this week to accept recommendations that aimed to stop some of the most unscrupulous practices. This is an industry that has sprung up and grown exponentially in recent decades. 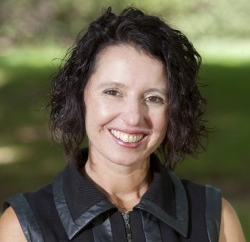 A 2015 study estimated that in 2012 over one million Australians had taken out a ‘small amount credit contract’ – these are most often for loans of under $2000 that must be repaid within 12 months. These loans were valued between $800 million and $1 billion – a staggering amount. The industry works hard to make sure that these loans are repaid through practices such as ensuring bills are paid via Centrelink prior to any other funds being provided to individuals. This has proven to be an effective revenue stream. For example, in 2015 it was revealed that more than half of Radio Rentals revenue (that’s $90 million) was made from Centrelink in one year alone. It has been argued by consumer advocacy groups such as the Consumer Action Law Centre that practices used by these institutions are predatory and deceptive. The new measures aim to fetter the most unfair of these practices. Some key measures include caps on the amount of interest that can be made that are proportional to the item purchased, and caps around the amount of repayments made that take into account an individual’s income. It will take time for these to be implemented – this is a powerful industry and it has secured long lead in times for the new measures to take effect. It’s a start however, and will begin to tip the scales in consumers’ favour. People might ask – why would anyone accept these blatantly unfair terms? Most often it’s because people don’t feel that they have any other choice. These companies target the poorest in our community – those who are unable to get credit from mainstream sources such as banks. It’s my experience that people on the lowest incomes are some of the best money managers – you have to be when there is so little money coming in. If you are receiving a Newstart allowance however, it is not actually possible to live on $38 a day for more than a few weeks. You can get by for a little while but when something goes wrong – someone gets sick, a fridge stops working, the car needs repairs or the kids need new school shoes, there is just not enough money to go around. When this happens, often people think these short term loans are the only way to get over the crisis. The problem is that it creates more problems down the track once you get locked into high fees, further predatory targeting and you are caught in a poverty trap. Some good news is that there are alternatives. There are community organisations including Care Financial Counselling and the Salvation Army that can provide no interest loans for people on low incomes to pay for essential items, medical expenses and other unexpected costs. The Australian government provides information regarding a range of low cost options via the website https://www.moneysmart.gov.au/. Even some of our biggest companies are starting to realise they have a role to play. This week HESTA announced that they would support their members who face financial stress and are partnering with micro-financing not-for-profit groups to provide greater assistance. In the lead up to Christmas, many of us will be suffering financial stress and may be tempted to look at these loans to solve our money issues but most of the time it just creates more trouble. 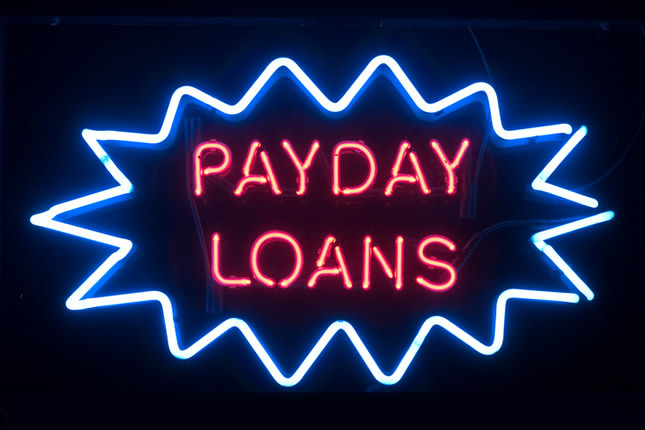 Have you had an experience with these payday lenders? What do you think we should do about these loans that trick and often trap people into long term debt? Small amount credit contracts (SACCs) do not charge interest rates of “800%”. Since 2013 they’ve been banned from charging any interest at all, and total fees and charges are capped. SACCs are not “most often for loans of $2000 that must be repaid within 12 months”. To be a SACC they must be for $2,000 or less and have a term of between 16 days and 1 year. Otherwise they can’t be a SACC. Further, SACCs can’t be secured. You’ve also conflated consumer loans with consumer leases – same act, different regulations. And then you further confuse Centrelink with Centrepay. SACCs could never access Centrepay, whereas consumer leases could. Hi there. Thanks for the comment. I take on board the comment that I could have been clearer in my delineation of the two parts of the industry that were covered by the industry but took my lead from the language used by the responsible Minister and economic reporters. The inquiry covered both parts of the industry including SACCs and consumer leases. The issues with both parts of this industry and their impact on vulnerable consumers continue to be a significant issue. Cap the interest rate that can be charged. Ban the outrageous interest rates, and you wipe these parasites out overnight. Protect the vulnerable. That’s what governments are supposed to do. You are trying to treat the symptom, not the cause. How have we built a society in which people are forced to live paycheck to paycheck, and not have enough for the basic necessaries of life, such that they have to resort to payday lending (or, if that’s removed, the much worse alternatives)? The last time there was a concerted effort to understand the demographics and nature of this issue, it was defeated by the fact that the vast majority of the payday loans were for ‘business purposes’ (there was some work in the early 2000’s to shut down that loophole but I don’t know where it ended up). Saying that they don’t have an alternative to mainstream credit providers is a bit trite, because it’s not as if they are using payday lending to buy assets (car, house). Most people don’t need to approach a bank to borrow money just for living expenses (as is alluded to in the article) and people who rely on revolving credit to fund their life (credit card) are more likely to be bad money managers as opposed to being on the path to a destructive debt spiral. Take the point re physical injury but I also think financial crippling is a pretty big issue as well. You can opt out of the commercial debt recovery cycle by declaring bankcruptcy. Or entering into a debt management agreement. I was also involved in a case where a debt was written off completely. Commercial lenders are also limited by law in terms of what information they can disclose and where, when and how frequently they can approach the debtor to recover the debt. People who get involved with loan sharks don’t have any of these protections. Nor do their family. And yet, this is precisely where people will be forced to go if payday lenders are regulated out of existence. The moralising is all well and good until one considers the alternatives. I am not suggesting loan sharks as an alternative. What I am reflecting is that some of the practices of pay day lenders and rent-to-buy providers start cycles of debt for vulnerable consumers. You are correct, people can declare bankruptcy – but this is not a great option and has long term consequences. People can negotiate arrangements, but they need to have the capacity, knowledge and confidence to do this. Organisations like Care Financial Counselling Service do a great job of working with people to enter alternative arrangements. Regulating payday loans out of existence is unconscionable. It forces desperate people into the hands of loansharks. The interest rates charged by payday lenders are exorbitant because they deal with such a massive default rate. Also, they can only charge financial interest, as opposed to, for example, breaking kneecaps. Thanks for the perspective. I haven’t seen the default rates on payday loans but know the default rates on micro-loan programs are tiny – one of the reasons I am suggesting them as an alternative. Take the point re physical injury but I also think financial crippling is a pretty big issue as well. It is distressing seeing individuals who are in real trouble from debts that were originally small – leads to emotional issues, family breakdown, poverty and homelessness. Good article. How can anyone run a business that is specifically designed to take advantage of people? You could perhaps direct that question to groups that own or operate poker machines. Gambling addicts are usually attracted to the “lenders of last resort” like these operators. I wonder if the removal of ATMs close to gambling venues had anything to do with it?